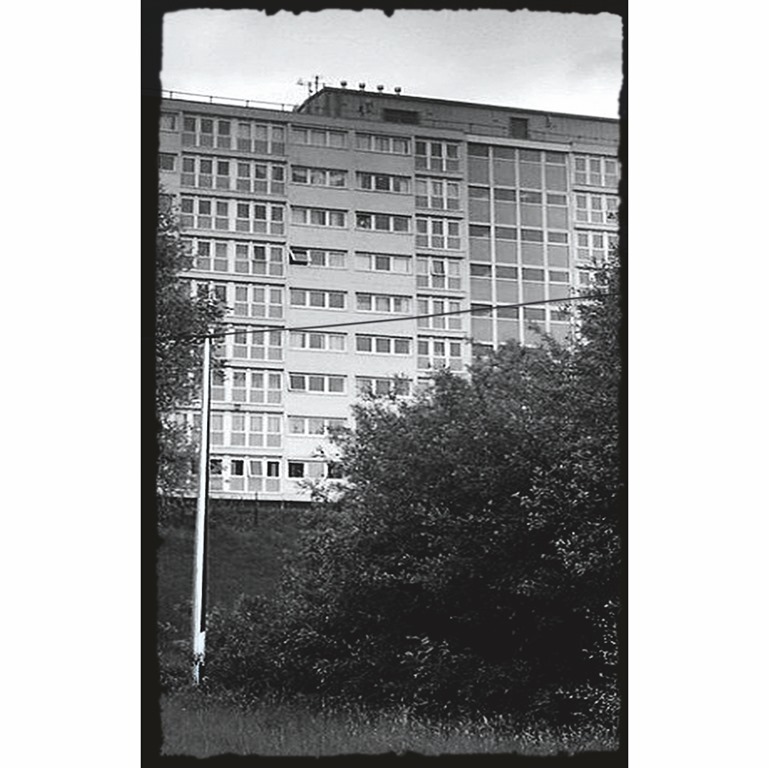 It promises ‘a voyeuristic excursion through the concrete labyrinth of Greater Manchester. A collage of the constantly evolving sensory barrage of the big city and it’s accompanying paranoia. The infinite possibilities of an adopted home and the entangled memories of the intrepid listener.’ It’s also pitched as a ‘prequel’ to Absolution – by which I’m assuming that the August – December 2017 recording of Burden predates that of Absolution, released in March last year. It matters little. Chronology is a construct. While an individual’s actions may follow a simple chronology, events overall do not: things happen simultaneously, and in different locations. Those lines of time and location are distorted by real-time communication by such means as telephone and television, which can temporarily connect different time-zones and countries, even bridging periods of history. Letters, on the other hand, have an effective time delay. The idea that events can be charted by means of a simple chronological timeline is further discredited when thoughts and recollections, as well as dreams, can occur completely at random and in a fragmentary manner. Supposedly combining ‘snippets of conversation and field recordings [filtered] through Kepier Widow’s digital ear’ and combined ‘with droning synth and bubbling glitches’, the two messy, disorientating, half-hour sound-collages (corresponding with the two sides of a C60 cassette) pay no heed to chronology or sequentiality. This, of course, is the beauty of the medium, in that it is non-linear, articulating instead the simultaneity of experience. And while it’s impossible to extract any semblance of narrative or even cohesion from the jumble of chatter, birdsong, car engines, grinding synths and wispy mists of ambient abstraction, often overlapping into one another, and occasionally all at once, Burden replicates – in a warped but intensely immersive way – the experience of traversing a large city. It’s loud, a collision of sound, uncoordinated, discordant, disorientating. Some of the electronic intrusions penetrate with some pretty harsh noise. There are unsettling, hums and drones, and glitchy ruptures kink the flow of any attempts to create smoother, more linear flows. Sonorous, undulating ripples of sound weave in and out. There is no structure. There doesn’t need to be – nor should there be. Everything simply ‘happens’. And this is life.